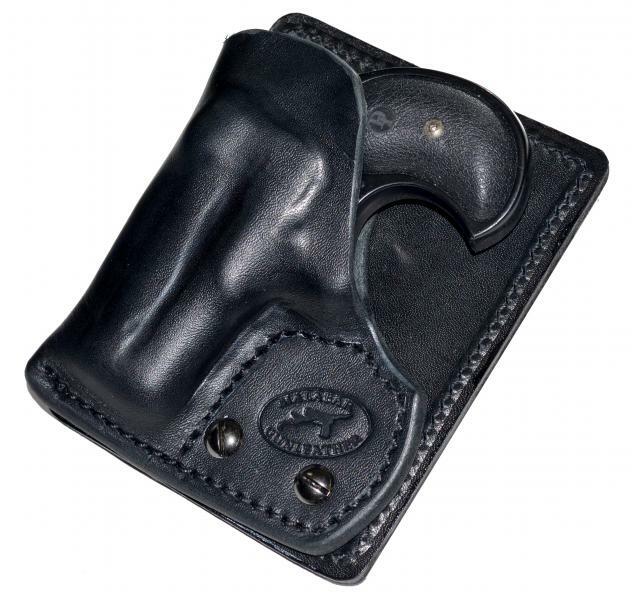 This is a deep concealment holster for a tiny gun -- think derringers, LCPs and similar palm-sized pistols. 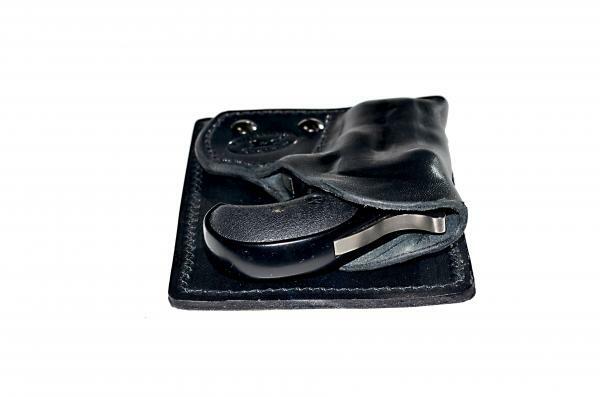 It completely conceals the outline of the pistol, thanks to a two-layer cover that presents the outline of a standard wallet. 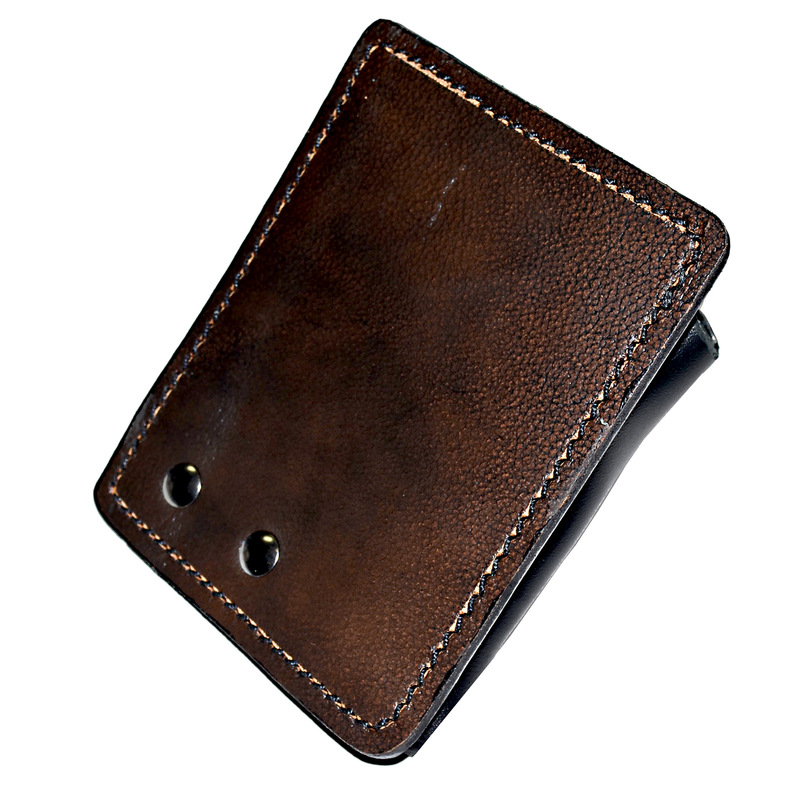 The cover is faced in upholstery leather and backed in six-ounce, drum-dyed, Hermann Oak cowhide. Pricing: $45 in drum-dyed, black Hermann Oak cowhide and upholstery leather.